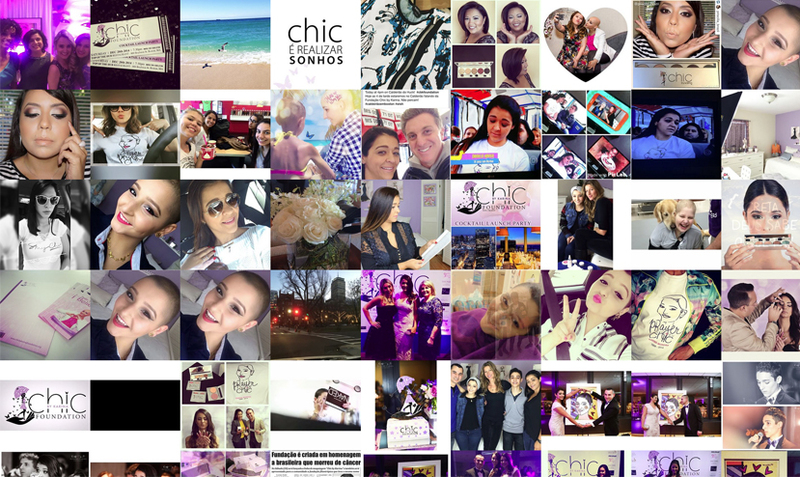 Chic by Karina was a makeup, beauty, and self help company created by Youtube guru, Karina Xavier. We were asked to help a beautiful girl and her family tell her story to the world and finalize a project that she had been working on up until the end of her life. To help realize this dream, we enlisted our whole team to create products to assist Chic by Karina with delivering their message. 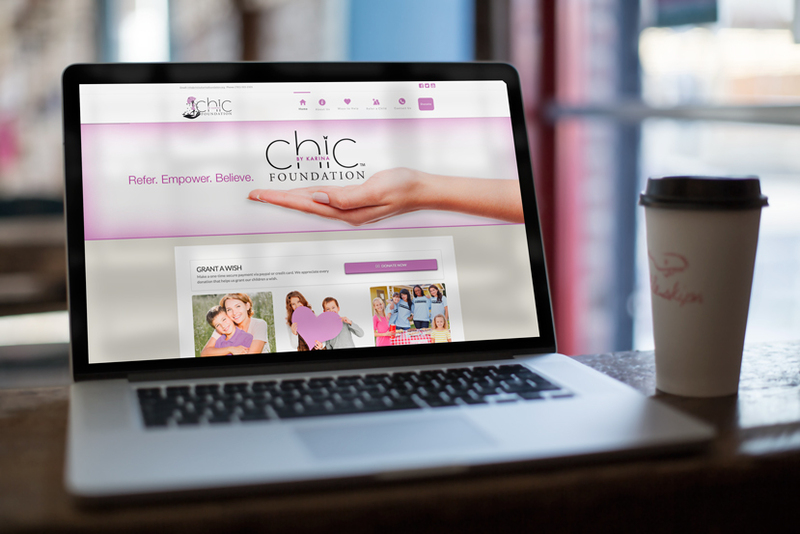 We were also asked to create a sister site for the Chic by Karina foundation called the Chic by Karina Store. This store would showcase makeup, clothing, and home decor hand selected by Karina and her family members as per Karina’s personal taste. In order to accommodate for international purchasers on the website, we integrated a currency conversion tool to assist visitors with knowing the exact cost of a product relative to their location. 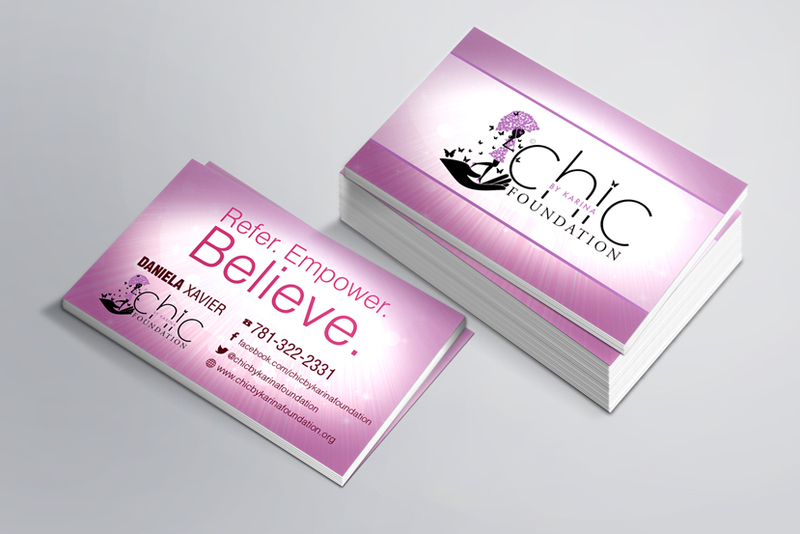 Chic by Karina requested that we create a vibrant colorful business cards for their CEOs. Below are the 10pt cards with a colorful glossy coating. 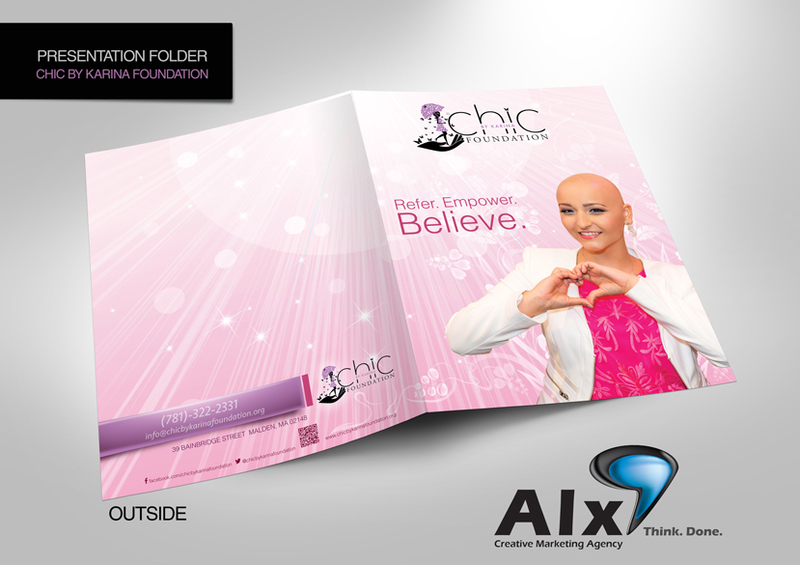 With every child who is considered for the Chic by Karina foundation, they are handed a packet of materials. To better deliver the Chic by Karina brand and organize the materials for the applicants, all paperwork was to be handed out in a folder. We designed these folders just for that purpose. 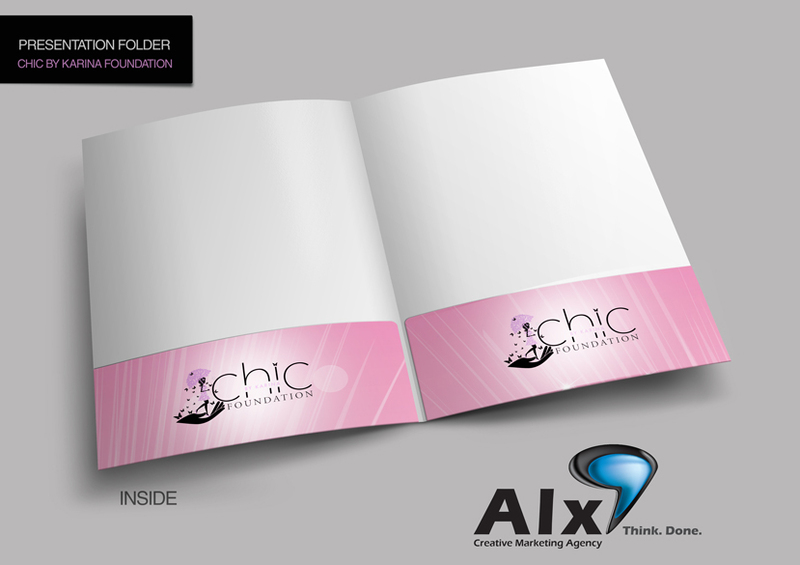 Each folder comes with small slit for placing the representative’s business card. 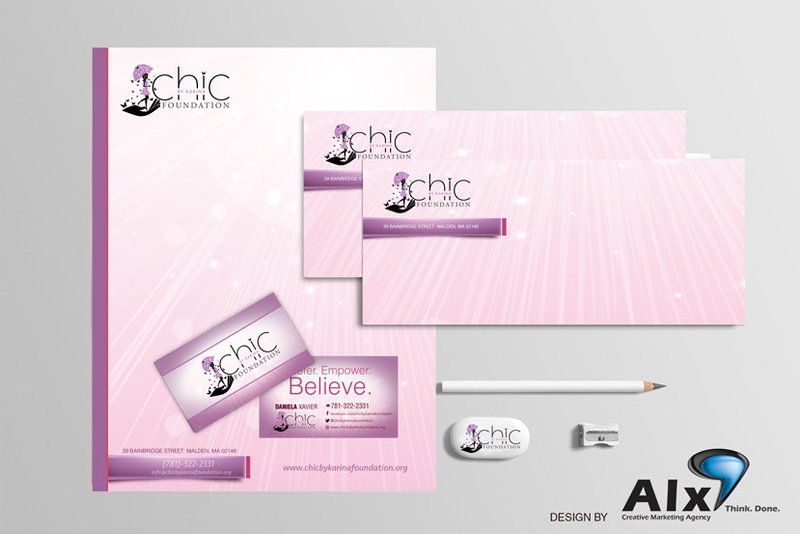 In a sea of foundations, we wanted Chic by Karina to stand out with their stationary materials. Everything from their envelopes to letterheads embodied the Chic by Karina brand with colorful backgrounds and flourishes.